The Josh Project is a 501(c)3 charitable organization. 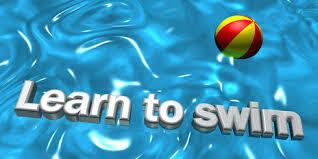 Our mission is : To raise to build basic swimming skills and knowledge of water safety to prevent drowning. Drowning is the second leading cause of accidental death among all children in the United States under the age of 15. Drowning is the 3rd leading cause of unintentional injury death worldwide, accounting for 7% of all injury related deaths. Visit our Contact page to inquire about signing up for swim lessons, or attend one of our registration days throughout the year. What happens once I register for swim lessons? After registration, students and parents attend Orientation where they are informed of TJP Goals and Objectives, and are provided with Water Safety instruction and swimming lesson materials. 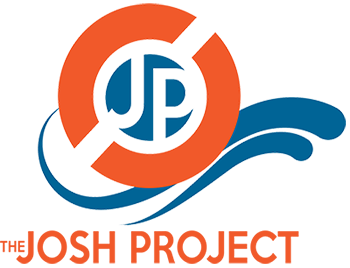 Through our partnership with the Greater Toledo Aquatic Club, our lessons are offered at the St. Francis De Sales HS Natatorium in Toledo, Oh. It depends! There is no set amount of time in which everyone will be able to master swimming, as each person is different. There are several factors that can affect how fast it will take to learn to swim, including age, willingness to learn, and natural ability. It may take several lessons before a child can swim independently. Year round practice, regular (supervised) exposure to water, and positive encouragement from parents and instructors are all important to progressing as a swimmer. We’re thrilled that you’re interested in volunteering! Let us know how you would like to help by sending an email to info@joshproject.org. At what age can my child begin swim lessons? The American Academy of Pediatrics says that children can begin swimming lessons as early as the age of one, although the AAP doesn’t as strongly recommend formal water safety instruction until the age of four. Based on this recommendation, The Josh Project only accepts students who are at least four years of age. What happens if I miss a lesson without notifying The Josh Project ahead of time? Missing a lesson without notification will result in a $5 fee, and you cannot attend another lesson until the fee is paid. We have a responsibility to our community and our donors and work hard to ensure long-term sustainability of the organization. We make our IRS Form 990 available for review, as required by law. Visit our Financials page to learn more. Our Tax Identification number is 26-0504511. How many other children will be swimming with my child? We have an average of a 4:1 student-to-teacher ratio for each lesson. What determines that my child has completed swimming lessons? Each child will have to complete a swimming test in order to graduate from The Josh Project. Our aim is to train every child to meet the “Canadian Swim-to-Survive Standard” established by our friends and neighbors to the north, the Lifesaving Society. We believe The Josh Project’s swimming lessons focus on teaching students how to survive and unexpected fall into deep water, which means being able to swim 50 yards Freestyle with rotational breathing, jump into 12 feet of water and swim 10 yards to the side, and tread water for one minute. 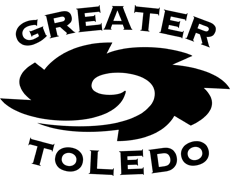 After mastering survival swimming, students may continue their lessons to refine their skills and learn additional strokes with our partner Greater Toledo Aquatic Club. Students are assessed for their current level of ability during the first class of every session, and are then re-assessed at the end of every 6th lesson in order to determine progress. The Josh Project uses a progressive system outlined by Swim Lessons University. More information about the program can be found on their website.